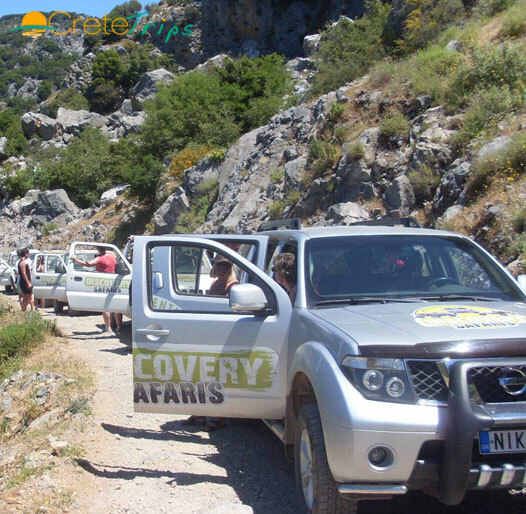 The Jeep Safari Excursion departs from Rethymno and heads towards the South coast of the Island at the famous Palm beach of Preveli, through various traditional Cretan villages, off roads, mountains, valleys and alleys having the possibility of seeing the Cretan Nature and swim at the south coast. 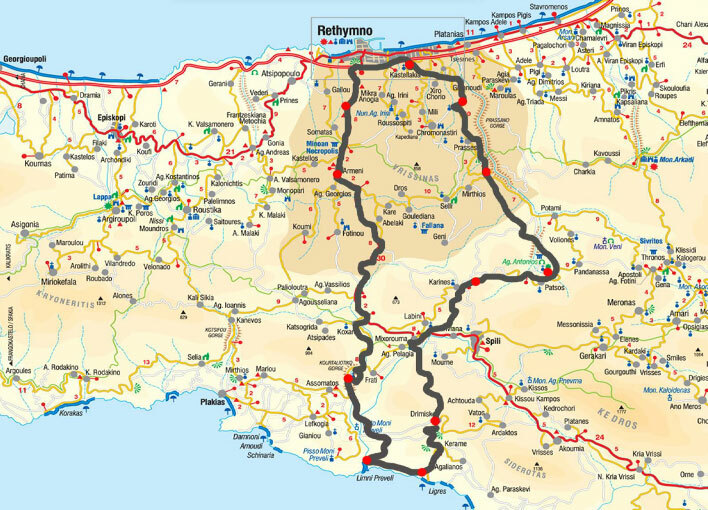 Then we have lunch at a traditional tavern at the south and afterwards we return to Rethymno through different direction. We take you to the hard-to-find places and away from the crowds for spectacular views and the excitement of traveling off-road in the unique landscapes of Crete - all in one day! We avoid all the usual sites and concentrate on an action-packed day full of scenic beauty and fun. Our professional Safari leader will guide you throughout the day taking you to places that even most local people do not know exist. A stop for swimming is also programmed at the south. We serve a typical Cretan lunch where one may sample a large selection of local specialties. This excursion does not include drivers therefore the clients that wish to participate should be able to drive. Please note that you may be seated with other clients depending on vehicle capacity.